HOMER — A city resolution written to lament America's polarized politics and endorse tolerance has got Homer residents at each other's throats. The fishing town at the end of the road is electric with yard signs and bumper stickers, back-and-forth sniping on the community's Facebook page, and city meetings where spectators overflow into the halls. A campaign is underway to recall half the city council on charges that they "ripped apart the social fabric" of the "once peaceful community" when they put up a so-called inclusivity resolution for a public hearing in February. The three Homer council members in the line of fire say they toned down their resolution in the days before the hearing to make it more acceptable. But their critics are calling that deceit, not compromise. They say flowery language was used to hide their true intent: turning the town of 5,600 into a "sanctuary city," where undocumented immigrants would find shelter among all the other branches of humanity embraced in the resolution's title. After the four-hour public hearing, the resolution was voted down 5-1. But the episode didn't end there. Animated by the deep mutual suspicions in American politics today, a drama of competing truths was about to unspool in small-town Alaska. Petitioners swiftly found enough signatures for a recall election June 13, accusing the council's three liberals of lying and official misconduct for their measure "opposing all intolerance." The recall campaign slogans: "You're Fired" and "Make Homer Great Again." The story begins in the Homer living room of Hal Spence, a retired local newspaper reporter who, at 70, still works as a school aide and hospice board members. Back in 1974, when he lived in Washington state, Spence took a free-speech case involving an American flag with a taped-on peace symbol all the way to the U.S. Supreme Court — and won. Alarmed now by the campaign and election of President Donald Trump, Spence started meeting with friends and scanning the internet to see how other towns were resisting. They gave their group a name: Citizens AKtion Network, or CAN. Around the time of Trump's swearing-in, the group drew up a proposed resolution for the city to consider. The measure spoke of "inclusion" in its title, calling for Homer to resist expressions of hate, provide a safety net for citizens and visitors, and resist efforts to profile undocumented immigrants. It also included a long string of "whereases" scorning Trump's statements on a range of topics, including Muslims, minorities and the press, and asserting the president was in power "without a popular mandate." Spence said they wanted to get a conversation started, not push seriously for a sanctuary in Homer. "We wanted to express that our city isn't like that," Spence said. "But we pulled a Band-Aid off a scab, as far as I'm concerned." As Spence and the council members tell it, the rough wording was passed to Donna Aderhold, a wildlife biologist on the council, who enlisted a second member, David Lewis, to work up a resolution. Meanwhile, a third council member, Catriona Reynolds, the director of the local family planning clinic, had been working on her own measure. She was researching issues surrounding "sanctuary city" status, under which some Lower 48 municipalities have declared they will not cooperate with federal immigration enforcement. Meeting resistance from the mayor, she had dropped her effort a month earlier. She signed on to the new inclusivity resolution, though she said she objected to its divisive anti-Trump language. As they tinkered with the resolution in February, Reynolds shared a draft with a young social activist and cannabis campaigner named Jeremiah Emmerson. He posted the measure on a Facebook page used for community announcements, calling enthusiastically for supporters to join him at the next council meeting. Instead, he spent the next two days getting pinged on his phone by outraged comments before he took down the post. Facing indignant blowback on social media, the measure got a complete rewrite. Every "whereas" about President Trump was removed, and a "therefore" about resisting efforts to profile vulnerable populations dropped the phrase "undocumented immigrants." Language about Homer being an inclusive city remained. The revised resolution was put on the council agenda. For the Feb. 27 city council meeting, the hallway outside council chambers was packed with people who couldn't squeeze in the doors. Two-thirds of those who spoke during the four hours of testimony opposed the resolution, according to local press accounts. Criticism went beyond sanctuary for immigrants. Many aimed remarks at the earlier draft they'd seen on Facebook, objecting to the "Trump is not my president" attitude. They also objected to getting lectured about tolerance and openness in their friendly little town. "We have always been an inclusive community, and we have gotten along very well. Now it's a cesspool of name-calling," said Mark Cooper, in comments echoed by others. "The resolution is not inclusive but dividing." To be sure, political arguments in Homer are nothing new. But outbursts of pent-up resentment have brought a new tone as politics shifted in the once-conservative small town. In 2012, for instance, the city council banned thin plastic bags from local stores. That law was overturned the next year by a citizen initiative, with opponents saying they didn't favor plastic bag pollution but resented government telling them what to do. An uglier side flashed briefly in January, on the day after Trump's inauguration, after 900 people had shuffled through snowy downtown Homer for the national women's march. Several pickups flying Trump banners passed down Pioneer Avenue and at least one belched black exhaust smoke on the dispersing marchers, a drive-by indignity known as "rolling coal." Their subsequent bawling-out from police was posted by marchers on Facebook. When the inclusivity resolution finally came up for a vote in the hot, uneasy council chambers, with neighbors glaring at each other, only Catriona Reynolds voted yes. She said she was disturbed by the giggles and jeers she heard in the crowd when supporters of her measure — a young track coach of Mexican descent, a teacher born in Korea — spoke about rare but demeaning encounters in Homer. "I heard people talk about tolerance," Julia Person had testified, "and then when the word 'Muslim' came up and they made all these derogatory remarks in the audience, I realized that the illusion of tolerance in this town is very deep." Winter political battles in Homer usually blow over by the time the birch trees bud out. Not this spring. A recall campaign was launched within days of the meeting. It took only two weeks to collect more than 400 signatures in the town, which voted 779-613 for Trump over Clinton. The recall campaign set up a storefront office, ran public service announcements on the town's conservative commercial radio stations, and carried petitions door to door (drawing occasional complaints that they were being pushed as "anti-sanctuary" petitions). Alaska law says political disputes are supposed to get settled through regular elections; a recall requires an allegation of official misconduct. Reynolds and Lewis are up for re-election in October (Lewis says he will not run again) and Aderhold next year. Recall advocates say it's important to impose consequences on the alleged misconduct right away. Recall opponents point out that a successful recall would allow the three more conservative members of the council to pick replacements themselves. In their official complaint, recall advocates accuse Reynolds, Aderhold and Lewis of lying about their intentions, hurting the town's economy by scaring away business, and breaking their oath to uphold the U.S. Constitution by considering sanctuary status (the Trump administration has threatened to withhold federal funds from "sanctuary cities"). They said that allowing the draft to be posted on Facebook and stir up the community that way was a misuse of office. They also included in their complaint, as not being properly impartial, a city resolution from last November opposing the Dakota Access pipeline, which was adopted with little controversy at the time. The city clerk approved the recall vote on April 5, noting that it would be up to the voters to decide if the allegations were true. Homer voters wanting to know more about the alleged misconduct have found details hard to come by. For weeks, recall organizers refused to speak to local reporters, referring them to official statements and a trove of 500 emails released by the city through a public records request. Recall supporters were addressed instead through social media, radio talk shows and a statewide conservative political blog. "Must Read Alaska has been given exclusive coverage by the recall sponsors," said the group's website. Suzanne Downing, who was until recently spokeswoman for the state Republican Party, writes the blog about Alaska politics. If the inclusivity dispute started in the liberal bubble of Hal Spence's living room, it had now moved inside a conservative bubble. Downing's 11 blog posts on Homer since February provided organizers with a self-affirming reflection. She added a wider perspective, writing that the tactic of Homer's "loud left wing" to muffle their message was part of a national anti-Trump campaign. "Welcoming cities are a notch back from sanctuary cities, 'sanctuary-lite' in practice," she wrote. The anti-recall side has organized in response, writing letters to the local weekly papers and raising funds for yard signs. Former Mayor Jack Cushing said the city emails reveal nothing except how resolutions reach the council agenda. "It would mean just about everything an elected official does is recallable," he said. "People willing to step up and do what these people do are rare. 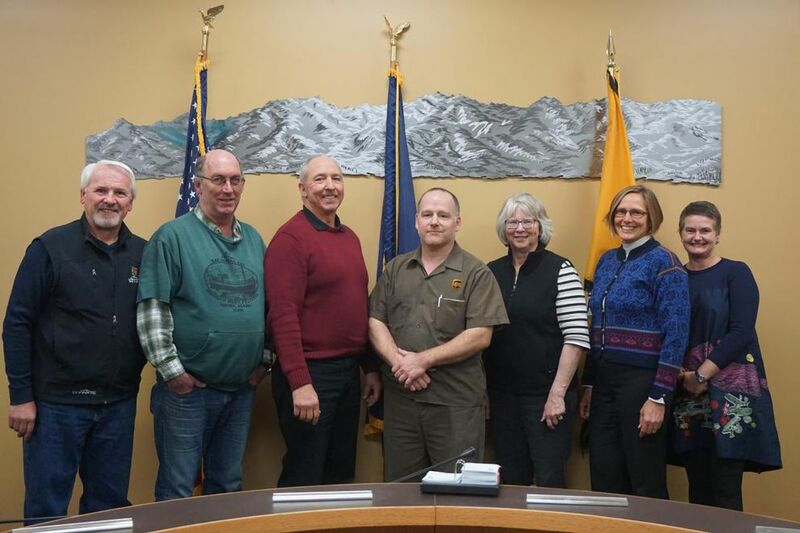 It's painful to be treated that way," said Mako Haggerty, a water taxi operator who represented Homer on the Kenai Peninsula Borough Assembly for several terms. He sees the recall campaign as a dark consequence of national politics: "There's a giant hurtful monster that's been locked up in everyone's cellar for a long time." Both sides claim to represent the true heart of the town. The anti-recall side chose as a slogan "Make Homer Kind Again." Dozens of supporters of the three showed up at the first council meeting after the recall was launched, carrying big red construction-paper hearts. Several days later, the pro-recall side officially named their political action committee Heartbeat of Homer. Having declared their neighbors "unfit for office," they started out playing defense on the kindness issue. "Disagreeing with the actions of our government officials is in NO WAY a personal attack or hateful," says the group's main Facebook page. "It is showing a love for our community by following a lawful process to maintain all that our founding fathers fought and died for." Sarah Vance, a poised young homeschooling mother who has emerged lately as a spokeswoman for the recall movement, told local radio host Chris Story last week that their campaign is about love, not hate. "True love holds people accountable so they won't go down a bad route," she said. Vance's pro-recall group was able to go on the offensive again when the American Civil Liberties Union of Alaska filed a lawsuit challenging the legal grounds for the recall. The ACLU argued that preparation for the resolution was the kind of constitutionally protected exchange of ideas you want from elected officials. Heartbeat of Homer said the three council members were suing to silence the voters of Homer and win legal fees from the taxpayers. Some time ago, the ACLU advised Catriona Reynolds against pushing for an LGBTQ anti-discrimination ordinance when she went to them for advice. The town might not be ready for that, was the assessment she recalls. This time, an anonymous flyer appeared in mailboxes, quoting ACLU fonder Roger Baldwin, the 1981 Presidential Medal of Freedom winner, saying back in 1935 that he sided with the communists. 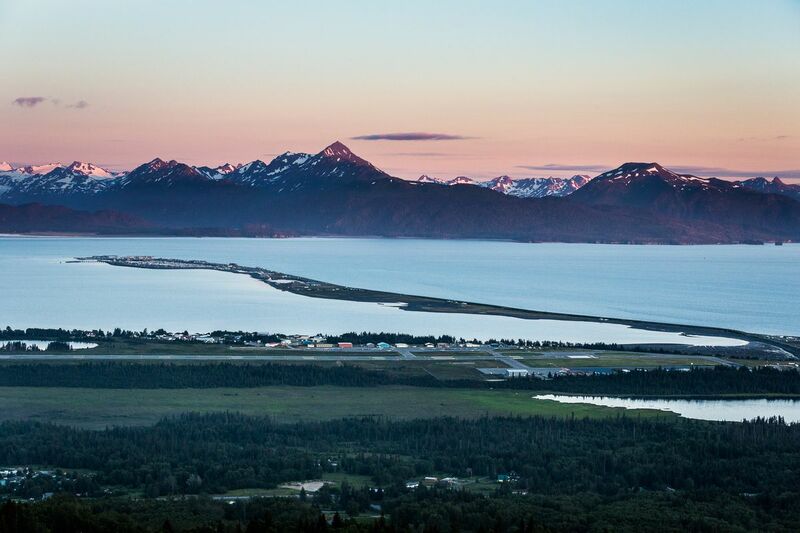 Last week in court, all sides agreed that the rules for allowing a recall in Alaska are, in the words of Homer's regular city attorney, "mired in confusion." Eric Sanders, handling the case for the city, argued that this was a mess for the Legislature to resolve, not a city clerk. Likewise, he said, it's up to the voters, not the clerk, to decide if the allegations are true. Judge Erin Marston agreed that the restrictions in Alaska law that require allegations of misdeeds should be interpreted liberally, leaving the final judgment to voters in two weeks. No decision on whether to appeal has been made. Joshua Spivak, a senior fellow at the Hugh L. Carey Institute for Government Reform and a national expert on recall elections, said he was surprised at the court decision in the Homer case, given that Alaska is one of eight states requiring some show of malfeasance to get on the ballot. Most recalls nationally fail to get on the ballot, Spivak said, but those that do succeed more often than not. One reason is that many of the targets are under indictment and resign. Recall elections are more frequent these days, Spivak said, and come from both left and right. The Homer dispute has obvious political overtones. While the council members got support from the ACLU, the anti-recall group bought area voter lists from the state Democratic Party. But they turned down offers of financial and other support from the party, wanting to stress their wider, nonpartisan cause, said the group's chairman, former high school principal Ron Keffer. Meanwhile, Heartbeat of Homer had its own lawyer in the Superior Court case: Stacey Stone, the lawyer for the state Republican Party. Suzanne Downing, the political blogger, is the party's assistant treasurer. Tuckerman Babcock, the state chairman of the Republican Party, said the party has been active in the Homer case because of its "anti-Trump nature." He said he hopes the episode has excited political interest that will carry over into the next primary election, when the party will target local Rep. Paul Seaton, the moderate Republican who has formed a coalition with Democrats. Babcock added, however, that the party is not paying for Stone's work in court. There were hot dogs, American flags and Trump signs when about 40 activists gathered recently for a Heartbeat of Homer rally at the small downtown Wisdom, Knowledge, Faith and Love park, donated years ago to the "cosmic hamlet" by legendary city councilman Brother Asaiah. As supporters dropped by, there were speeches from the gazebo. Heartbeat was "giving conservatives in this town a voice," Sarah Vance told the gathering. "That's what we're about, to come and to make our voice heard because we're not going to be silent any more." Last week, in response to a request for more specifics, Vance produced a timeline of city emails. They show council members seeking information on sanctuary cities and passing around drafts. The timeline appears to tell an everyday story of fact-gathering and compromise. Vance says it depicts the birth of a coverup. "Please hear my heart in this. This issue is like an accident at a four way stop. Every party saw the event, but each individual has a very different perspective. Each person's narrative is in fact true, but sound quite different than the other. We will just have to leave it to the people to decide." To Hal Spence, such talk about everyone's personal facts being equal was a reminder of why he proposed the resolution to begin with. "They toned it down," said Spence. "Had it been me, I would have left all the Trump thing in." Correction: An earlier version of this story incorrectly reported that Suzanne Downing writes her blog from Florida. She lives in Alaska.